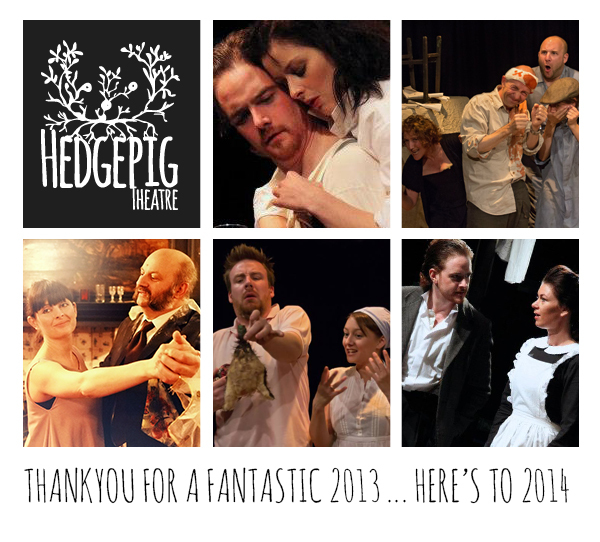 2013 – What a year for Hedgepigs! As 2013 reaches a close we think it’s important to look back over what we’ve done in the past year. One thing we always hope to do is to stretch ourselves, to try new things and to make some brave, or perhaps foolishly ambitious, choices. And glancing over what we accomplished in 2013, we feel that we’ve gone some way to achieving that goal. Having fallen in love with the intimacy and energy of pub theatre last year – we couldn’t help but return to this fabulous mix of stripped down theatre and storytelling. Adapting two more short stories – this time Truman Capote’s Master Misery and Dicken’s Trial for Murder – we were again bowled over by the wonderful audience response to our dark, fun tales. It is a bittersweet thing to have turn people away at the door – but a good problem to have and the unlucky folk mostly managed to return another night. 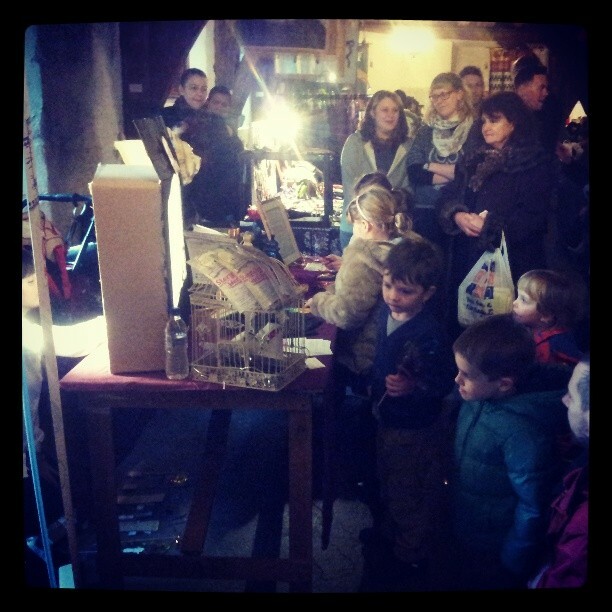 Double Barrel will be returning in many forms in the new year – pub theatre is addictive! And here we come to the “foolishly ambitious” part. We set out to find small, intimate play to stage. We aimed to do a ‘simple play’. Honest, we really did. For reasons that now escape me, we instead wound up completely rewriting J.M.Synge’s classic (hardly a line of the original remains), assembling the biggest cast we’ve worked with to date, and devising much of the play with them in an incredibly demanding and wonderfully creative rehearsal process. The end result was insane. And to my mind incredible. Our ridiculously committed cast tore the stage apart with violent slapstick, touching pathos and some comic genius. Watching the audiences fall about themselves as the play slipped from reality into something entirely more wonderful was a total pleasure for us to behold. We tried to be brave, to allow ourselves to try audacious things, we threw everything at the wall – and happily a lot of it stuck. And I think as 2013 closes – that’s the biggest lesson we learnt: that we can and should throw ourselves into the unknown. It’s imperative that, when appropriate, we turn off the voice in our heads telling us that something wont work. Sometimes you have to jump in with both feet and find out. And so there’s nothing left but to thank our fabulous collaborators, actors, crew, promoters, friends in the press and venues – and most of all our wonderful wonderful audiences for whom we do all this. We’re entirely funded by ticket sales – so without our audience we are literally nothing. So thankyou from the bottom of our Hedgepiggy hearts. We’ll be back bigger than ever in 2014 with lots more exciting news, plans and schemes.